MONTRÉAL, Sept. 15, 2016 – Innovative home and appliance retailer Pirch (San Diego) was announced as the 2016 recipient of the VMSD/Peter Glen Retailer of the Year Award on Sept. 15, during the International Retail Design Conference (IRDC), the industry’s leading educational and networking event for store planners, visual merchandising executives and other designers and architects who create and renovate retail spaces. The VMSD/Peter Glen Retailer of the Year Award is named in memory of the retail industry observer, motivational speaker, author and longtime columnist for VMSD (Visual Merchandising Store Design) magazine. The annual award recognizes a retailer that best exemplifies Glen’s three core retail values: innovation, service and intelligence. Pirch was chosen by VMSD’s editorial advisory board, which includes 50-plus leading retail-design executives, in a two-round vote. “Pirch represents a vision of modern retail that is not only elegant, but exceedingly relevant to today’s consumers as they search for an elevated shopping experience that compels them to return,” said Jennifer Acevedo, conference chair of IRDC 2016 and VMSD Editor-in-Chief, in announcing the winner on Sept. 15 during the IRDC Awards Luncheon, held at Le Westin in Montréal. Pirch CEO and co-founder Jeffery R. Sears accepted the award on the company’s behalf. “The design of our stores informs the customer journey and ultimately the experience for our guests. It allows them to dream, discover and be inspired in an environment that promotes human connections, community, and genuine care. We set out to create a retail space that is innovative and engaging, and it is humbling to be recognized for our efforts,” Sears said. Pirch recently opened a new 32,000-square-foot flagship in New York’s SoHo neighborhood that features its revolutionary experiential model. As the first and only retailer to bring high-end home brands to life, Pirch encourages guests to try before they buy, inviting them to experience and “test drive” all merchandise within the carefully curated showroom that features more than 30 interactive vignettes. The new store was the subject of an exclusive feature story in the September 2016 issue of VMSD magazine and has garnered critical acclaim. Driven by an unbridled passion to reinvent the entire retail shopping experience, Pirch carefully curates and presents only leading brands for indoor and outdoor kitchens and bath. And, for the first time in the industry, Pirch brings these brands to life in experiential showrooms allowing guests to try before they buy so they can make informed decisions. The result is a “one-stop-shop” where guests can focus on how they live, rather than what they want to buy. For more information visit www.pirch.com. Cincinnati-based VMSD (Visual Merchandising Store Design) magazine is the leading publication for retail designers and store display professionals, serving the retail industry since 1897. 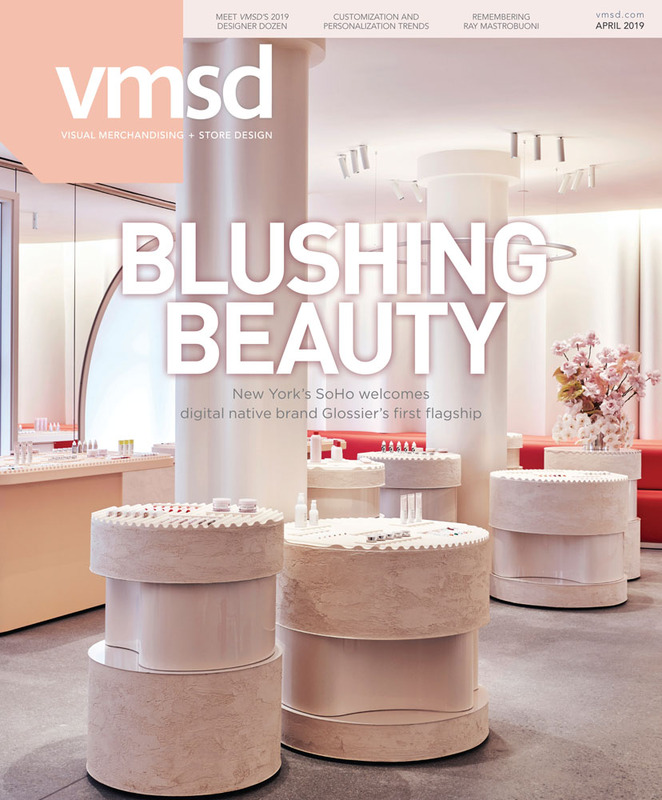 Every month, VMSD showcases the latest store designs and visual displays, presents merchandising strategies and new products, and reports on industry news and events. Celebrating the art and science of retail design, VMSD delivers information and inspiration straight from the high-level executives that drive this industry. Learn more at vmsd.com. Now in its 16th consecutive year, the International Retail Design Conference (IRDC) is the premier educational and networking event for the store design and visual merchandising community. Presented and created by VMSD magazine, IRDC combines inspirational sessions, expert Q&A, roundtable discussions, case studies and networking events into three productive days, drawing 400-plus attendees from the U.S. and abroad. IRDC 2017 will be held at the Ritz-Carlton in New Orleans, Sept. 6-8, 2017. Learn more at irdconline.com.